What makes a group discussion a spiritually-formative discussion? 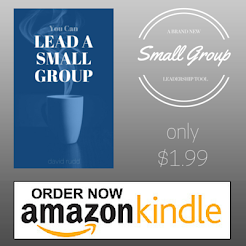 I think most small group leaders want their groups to be spiritually-formative. However, sometimes that is difficult to achieve because formation means CHANGE and change is DIFFICULT. However, if the culture of the group is designed for change, it can perhaps be easier. I think the above thoughts are an indicator that groups need to be really open to change in many ways if they are going to be formative. A group culture that stifles personal change, will ultimately become a group that is little more than a social club. Of course there is nothing wrong with a social club, but don't deceive yourself that your social club is somehow the church gathered and is somehow contributing to your spiritual growth.